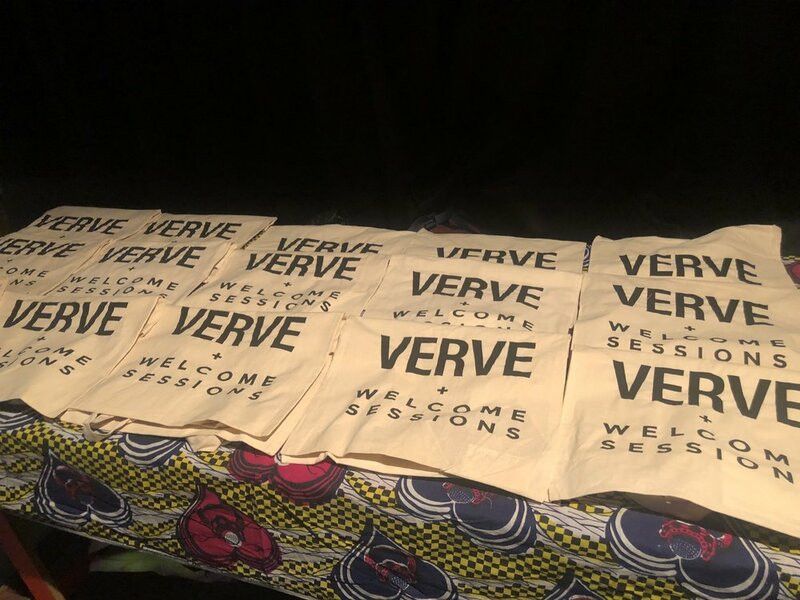 On Tuesday 1 May 2018, Welcome Cinema + Kitchen launched a new monthly cinema night: Welcome Sessions, and VERVE was there to help celebrate. 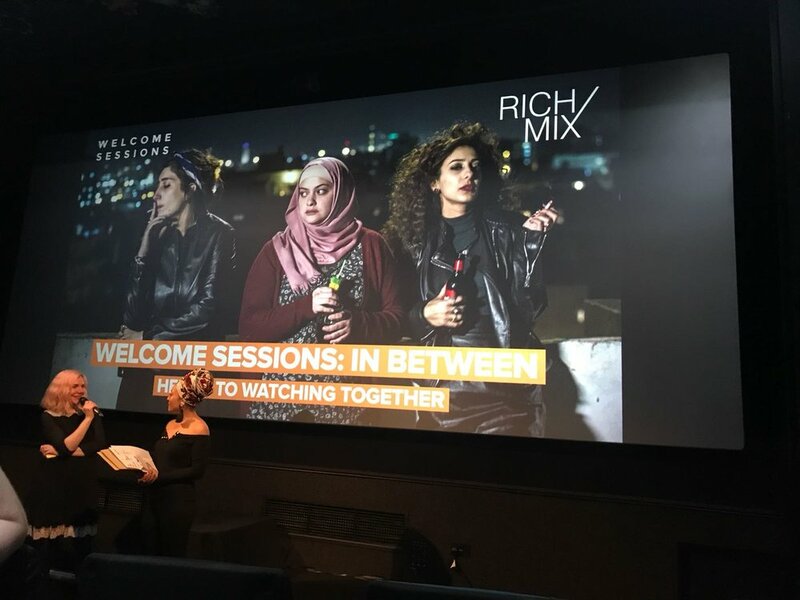 Welcome Sessions and Rich Mix Cinema hosted a screening of In Between (Bar Bahar), the directorial debut by Maysaloun Hamoud, starring Mouna Hawa, Sana Jammelieh, Shaden Kanboura, Mahmud Shalaby, Henry Andrawes and Ashlam Canaan. In Between may be 2018’s best “foreign” film about female friendship, conflict, culture, religion and how they all intersect. Set in Tel Aviv the movie follows the lives of three Palestinian women who live “In between” traditional Middle Eastern expectations and values and their desire live their fullest lives. The film beautifully portrays the always emotional and sometimes physical violent struggle against the patriarchy. Something women everywhere will relate to in some way. The film begins with an older woman (doing a wax job) explains the rules of marriage to her younger client; “Don’t raise your voice. Men don’t like women who raise their voices”. This tragic truth is depicted again and again in the everyday lives of her characters. In a recent Vogue interview Hamoud said that she believes the way forward will be “women in solidarity [are] the key [to] changing the reality”. Watching these three ordinary women unapologetically stand up for themselves and each other is imperative to the narrative of feminism, how despite our cultural, religious and political differences when together, we will always be stronger. Laila is a fierce black leather red lipsticked clad Palestinian muslim lawyer who knows who she is, what she wants and is figuring out how to get it. 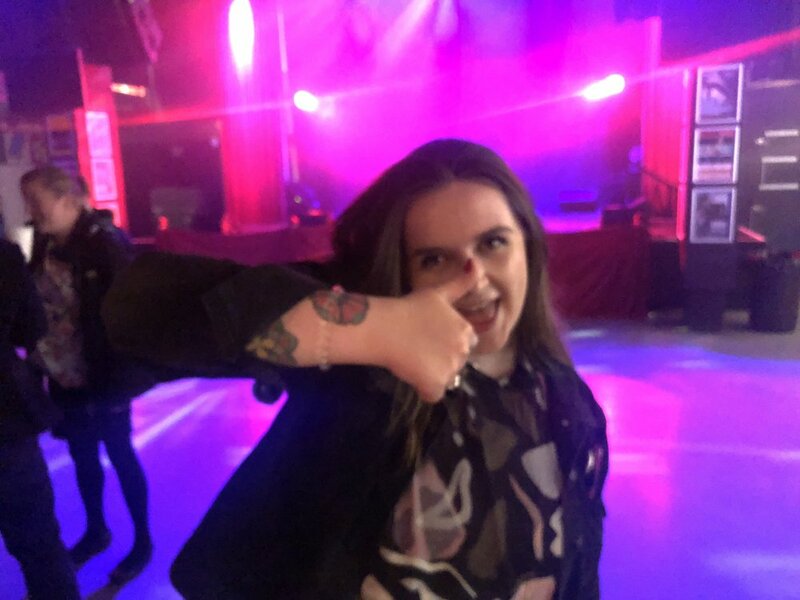 Salma, a heavily tattooed, pierced, lesbian christian Palestinian woman whose mother is constantly trying to set her up with local bachelors when all she wants is to be able to be honest with her family about her sexuality. And finally, Nour, an observant Muslim studying computer science who moves in with Laila and Salma against her fiancee’s wishes. Originally shocked and discomfited by Laila and Salma’s lifestyle Nour soon begins to question the destiny laid out for her by her family, fiancee and culture. The event was catered by Welcome Kitchen, a collective of refugee women founded in 2016. Welcome Kitchen’s mission is to “celebrate their cultures through food’. Welcome Kitchen regularly hosts feasts from over 10 different countries for the general public. Dinner ticket proceeds along with their crowdfunding page help these extraordinary activists raise money to continue their good work. Welcome Kitchen + Cinema is an organization founded by refugees and friends of refugees. 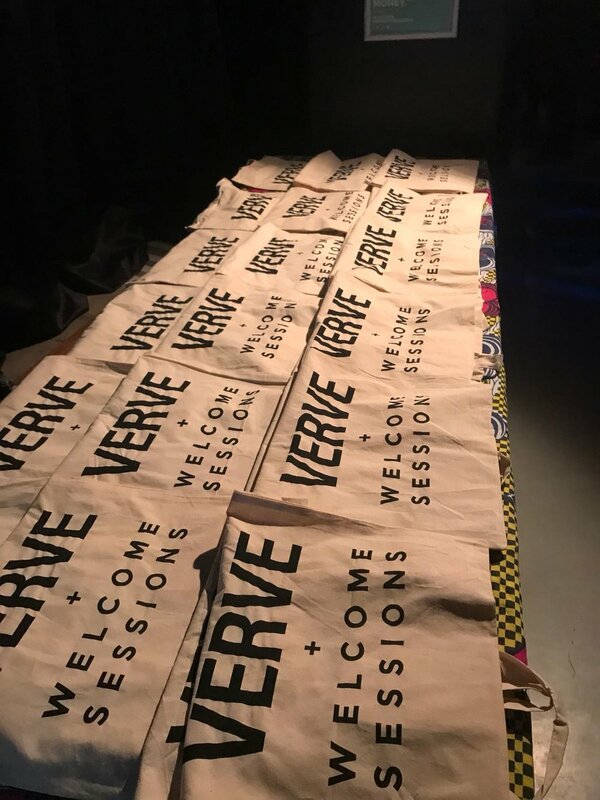 The founders of Welcome Kitchen + Cinema were inspired to create these forums after visiting the Calais refugee camp commonly called the “Jungle”. One of the most popular events at the Women and Children’s Centre located within the camp is the twice weekly cinema night. Watching the way that movies were able to lift the spirits and inspire hope even for people living it what many who know it call hell is the inspiration behind Welcome Sessions. 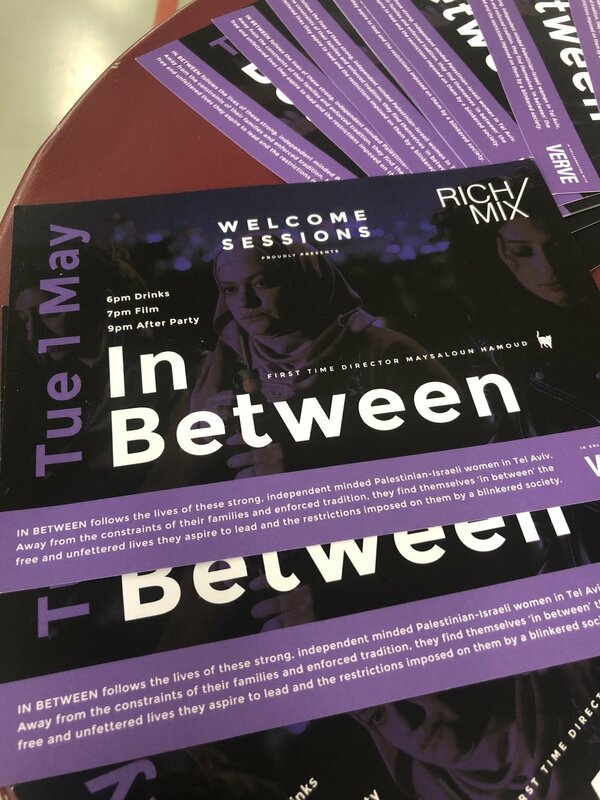 As their website states, Welcome Kitchen + Cinema aim is to host “monthly event[s] uniting refugees, asylum seekers & the general public through a shared love of film, food + friendship”. Tickets are free for refugee and asylum seekers, and proceeds from the paying public are donated to MEENA - a charity supporting unaccompanied minors in Calais and in the UK. By exploring our differences through ‘culturally aware films’ and food, we can connect with our brothers and sisters. Welcome Sessions knows that “Londoners are more likely to read about refugees than engage with the people behind the stories”. Welcome Sessions goal is to help build a bridge rather than a wall between ‘us’ and ‘them’. Next event is on Wednesday 30th May, 2018. Film is yet to be confirmed, but you should definitely save the date. We know we will.